For this week’s video (by hubby’s special request) we revisit Timothy’s infamous “Atta boy Mike” scene from Bob Rafelson‘s Head (1968), the very strange first – and last – feature film from the Monkees. As I’ve said before with regards to this film – for God’s sake, don’t try to make any sense out of it! Just enjoy Tim at his craziest. 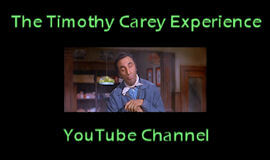 This entry was posted in Film, Video and tagged bob rafelson, head, the monkees, timothy carey. Bookmark the permalink.